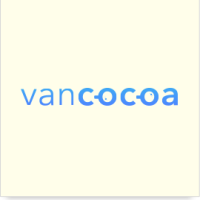 VanCocoa is now Vancouver Xcoders! For the same great iOS development speaker series, you can now find us on Meetup. VanCocoa is back with two more great talks. Parveen Kaler will start by hurting our brains with an advanced Core Data talk, then Travis Kirton will soothe our souls with the beauty and power of C4. Then, off for beer. The event is at The HiVE, at 128 W Hastings St, suite 210. Caravan — better pages for group events. © Steamclock Software. Questions? Get in touch.